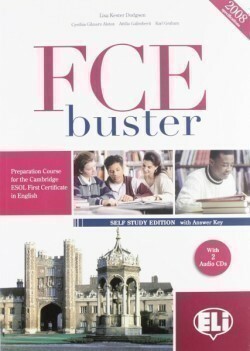 This course allows the student to prepare for the FCE exam via various typologies of exercises in a pleasant manner. This is possible thanks to the chosen topics that are up-to-date and have today’s adolescent at its core. The book is divided into 20 units of eight pages that reinforce the four linguistic skills, the structures and the vocabulary. 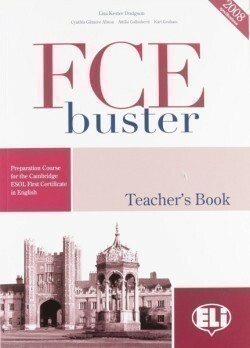 Each unit has its own topic conforming to those indicted in the FCE syllabus. The first six pages present topics like alimentation, today’s society, leisure time, the environment, etc., and environment, etc, and contain exercises of the different skills required presented in a gradual manner. 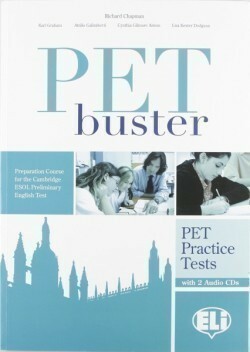 At the back of the book there is a Practice Test simulating the entire exam, some pages of Grammar Reference, Phrasal Verbs, Visuals (photographs for the Speaking test) and a word list. 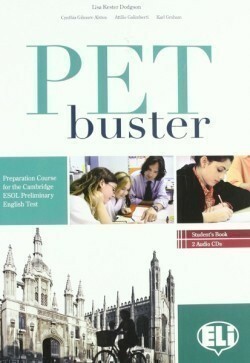 In the version with answer keys, all the answers to the exercises and all the transcripts are at the back of the book. 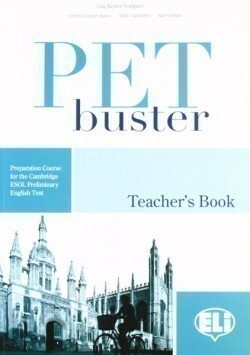 The Teacher’s Book contains the linguistic and communicative aims of every unit, extra cultural and lexical notes, answers to the exercises, transcripts of the listenings, suggestions for extension and review exercises, progress tests, information about using the recommended websites and a variety of possible didactic paths, longer or shorter according to the teacher’s needs. 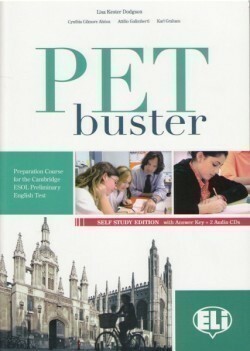 The 2 CD Audios contain the listening material presented in the student’s book. Dodgson, L. K.; Alston, C. G.; Galimberti, A.; Graham, K.